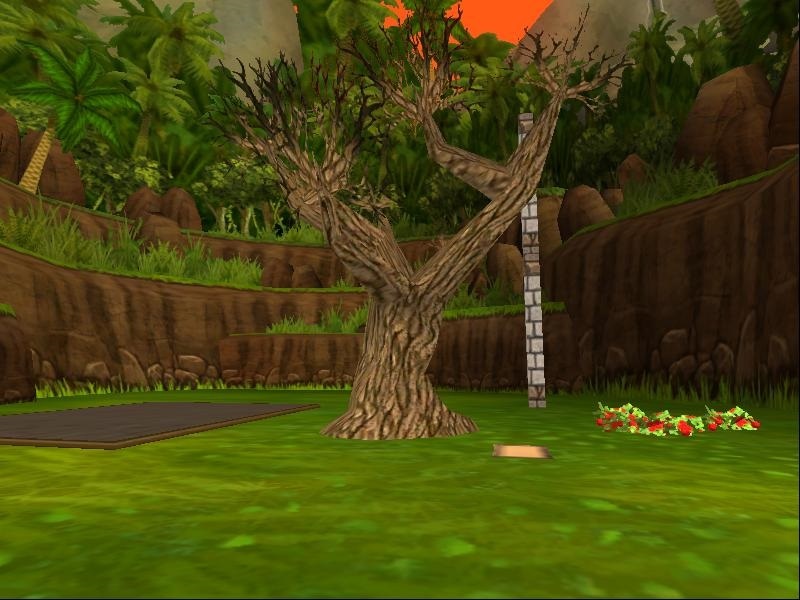 Trees in Wizard101 can become unique and fun set to your own style. I'm going to show you how this apple tree was created though you can do anything you want. I made blueberry bushes apple trees and even set a tree on fire. Yeah ,yeah I hear you saying What?! Ill post a image of it at the end of this post. 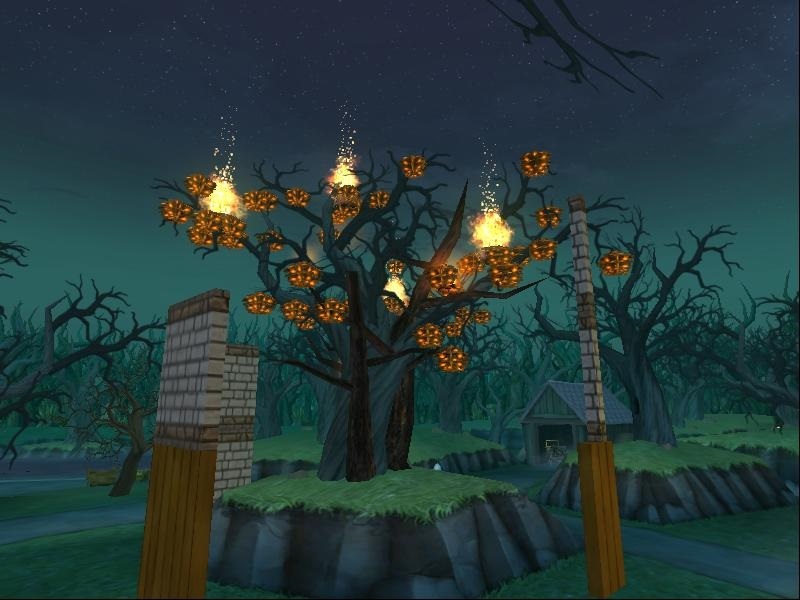 *One Tree, preferably without leaves on it. The dead tree is a good one. *Dewberries or what you want to make the tree out of. 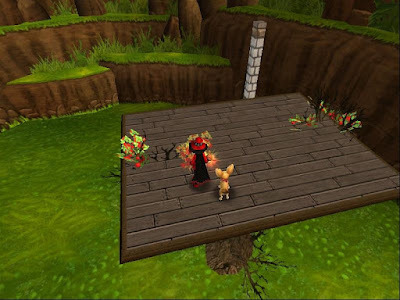 *Flat platform from crowned shop 350 crowns or 1750 gold . A very large rug also works, just make sure you have room to work on it. *Small rug, I like tatami mats you can also use the small blue trimmed rug. *Something to give you height, you need to be in the tree. I use Castle block walls/ posts, you can use anything really. 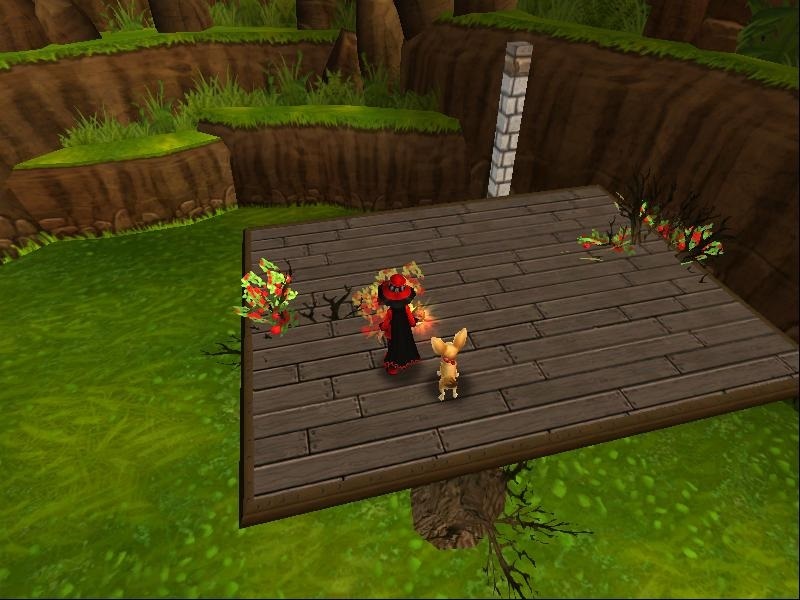 Now take you mat or small rug , spin it over the platform until your platform starts to move. Never set you rug down on the platform , only spin it above it. I'm actually going to show you a video by Iridian Willowglen on this technique. Once you got the height you want to start at move over to the tree. You can walk on the board as your spinning it. It's okay, if you fall off and make a mistake you just port away, come back and start from where you left off. Now take your dewberries and start placing them. I follow the branches and make layers to give the tree the fullness it needs. You can make layers by lowering your board. 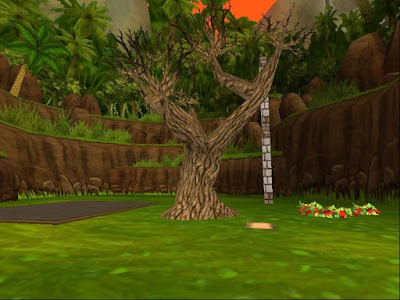 Just usee you marker (the post) to move up and down the tree. I hope you enjoy this segment. Happy house decorating. Fire tree, not completed, as you can see I'm still working on it. 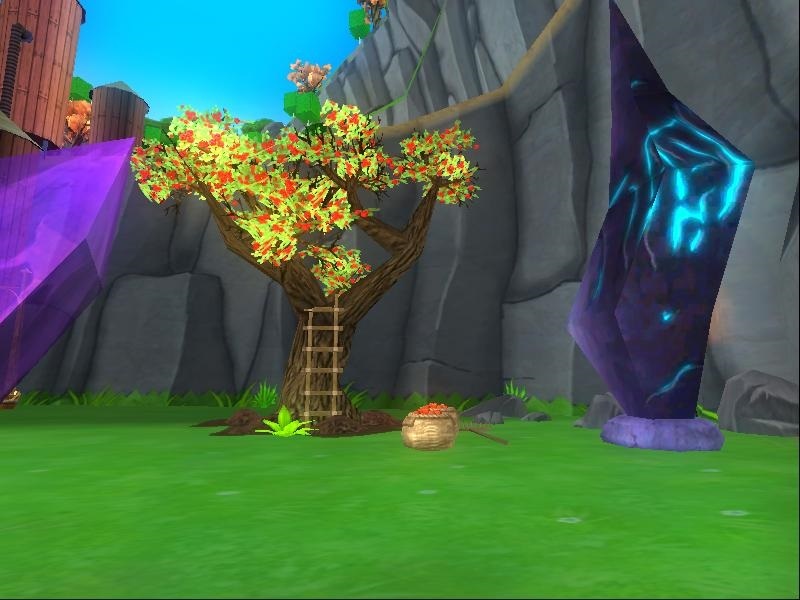 I have been making my own trees for years now ;) I have apples trees and plum trees on several of my homes. If they don't have it, make it! Guess the Furniture - Winners!